Here is a recap of the past week's action in Fall and Winter leagues. For the full list of Red Sox prospects participating in these leagues, check out our Fall & Winter Leagues page, which will be updated continuously through the offseason. This week's roundup covers the period of December 19 - December 25. Hanley Ramirez made his winter debut this past week as the Dominican league's regular season wrapped up and appeared in three games. 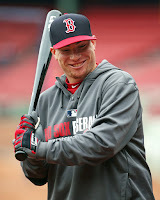 The first baseman, who belted 30 home runs for Boston in 2016, went 2 for 12 with a double, a walk, and a pair of runs batted in. Ramirez will play for the Dominican Republic in the upcoming World Baseball Classic. Marco Hernandez continued to play well with four hits and a walk in 12 plate appearances along with a stolen base. Junior Lake went just 1 for 14 with three walks. Here is a recap of the past week's action in Fall and Winter leagues. For the full list of Red Sox prospects participating in these leagues, check out our Fall & Winter Leagues page, which will be updated continuously through the offseason. This week's roundup covers the period of December 12 - December 18. It was a solid week for Marco Hernandez (pictured), who went 5 for 19 with a triple and a home run. He now has three home runs in his last eight games. 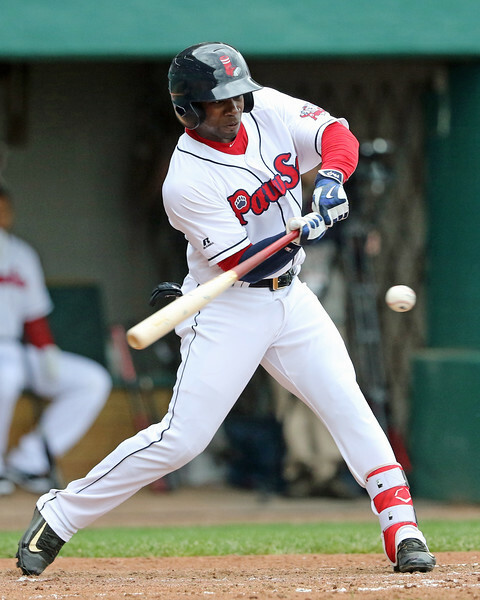 Outfielder Junior Lake, who signed with the Red Sox last week, also played well, going 6 for 22 with a double, home run, and three walks. Left-hander Fernando Abad made his debut last week, allowing one unearned run over two one-inning appearances for Este. Elsewhere, Roenis Elias was also let down by his defense, as he surrendered three unearned runs over 2 2/3 innings in his only start of the week. He walked two and struck out two. Going forward, we will be posting here on SoxProspects News whenever player page scouting reports are updated or created. This is part of our renewed focus on our scouting updates started with the launch of our Scouting Log earlier this offseason. In the past, we've considered updates to our scouting reports to be a "behind the scenes" part of the website. But the player pages and the scouting reports therein are the lifeblood of the site, and it makes far more sense to highlight when those change (or, as in this case, are posted for the first time). Here is a recap of the past week's action in Fall and Winter leagues. For the full list of Red Sox prospects participating in these leagues, check out our Fall & Winter Leagues page, which will be updated continuously through the offseason. This week's roundup covers the period of December 5 - December 12. 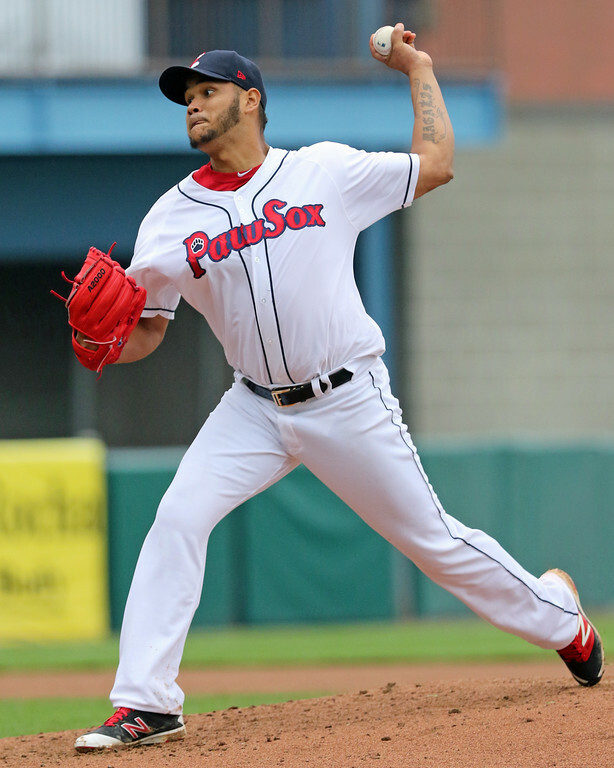 Left-hander Eduardo Rodriguez (pictured) made his first start of the winter for the Navegantes del Magallanes on Thursday, tossing two perfect innings and striking out three. Luis Ysla made one appearance this week, facing only one batter and striking them out. Austin Maddox continued to struggle in Venezuela, allowing two runs on three hits and two walks in 2/3 of an inning in two appearances this week. Deiner Lopez, who had been playing in the Liga Paralela for Lara in recent weeks, was brought back up to the parent club and made a pinch-running appearance, in which he stole a base. It had been a quiet start to the offseason for the Red Sox, but the club made its first addition to the major league roster on Tuesday morning, acquiring right-handed reliever Tyler Thornburg from Milwaukee in exchange for corner infielder Travis Shaw, shortstop Mauricio Dubon and right-hander Josh Pennington. To acquire Thornburg to work the eighth inning in front of closer Craig Kimbrel, the Red Sox gave up three solid depth pieces, but none of them have the type of upside that will likely come back to haunt the Red Sox in the long term. Red Sox president Dave Dombrowski had listed an eighth-inning reliever as a priority this offseason and he appears to have gotten his man, as Thornburg will slide in as one of the top pitchers in the Boston bullpen. Once a notable starting pitching prospect for the Brewers, rated as the 100th prospect in baseball by Baseball Prospectus before the 2013 season, Thornburg broke out in a big way in 2016. In 67 innings for Milwaukee, the 28-year-old Thornburg pitched to a 2.15 ERA with 90 strikeouts and 25 walks and was worth 2.0 fWAR. Adding to his value, Thornburg is arbitration-eligible for the first time this offseason and will not hit free agency until after the 2019 season. However, he does carry a bit of an injury history, suffering an elbow injury in 2014 that nearly led to Tommy John surgery, but he instead opted to receive a platelet-rich plasma injection, which helped him avoid going under the knife. 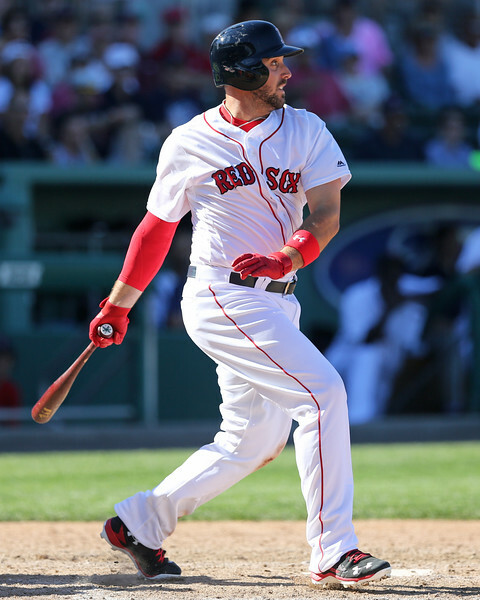 Travis Shaw, who played in 145 games at third and first base for the Red Sox last season, headlines the package going to the Brewers and was reportedly the piece Milwaukee inquired about to get trade talks moving. Shaw's major league career got off to a great start, as he hit .270/.327/.487 in 65 games in 2015 and then slashed .292/.358/.508 in the first two months of 2016. However, Shaw slumped mightily from then on, hitting just .206/.270/.362 the rest of the way and losing his starting job in August. Shaw did not have a clear spot on the Red Sox roster going forward with the return of Pablo Sandoval, reliable presence of Brock Holt, and the potential emergence of top prospect Rafael Devers (and at the time the deal was announced, one would have added Yoan Moncada, who was moved later in the day to Chicago), but he will likely receive everyday playing time in Milwaukee at third base, shifting Jonathan Villar back to his more natural position of second base. 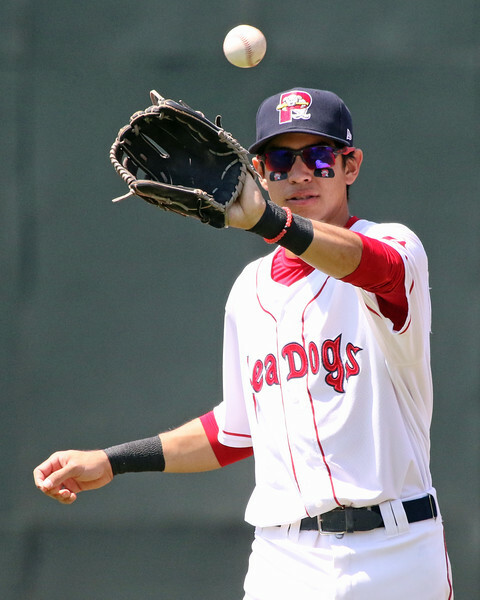 Mauricio Dubon is the most significant prospect heading to the Brewers in this deal, ranked ninth in the SoxProspects.com rankings at the time of the trade. He was named the SoxProspects.com Breakout Player of the Year after a season in which he slashed .323/.379/.461 between Salem and Portland. 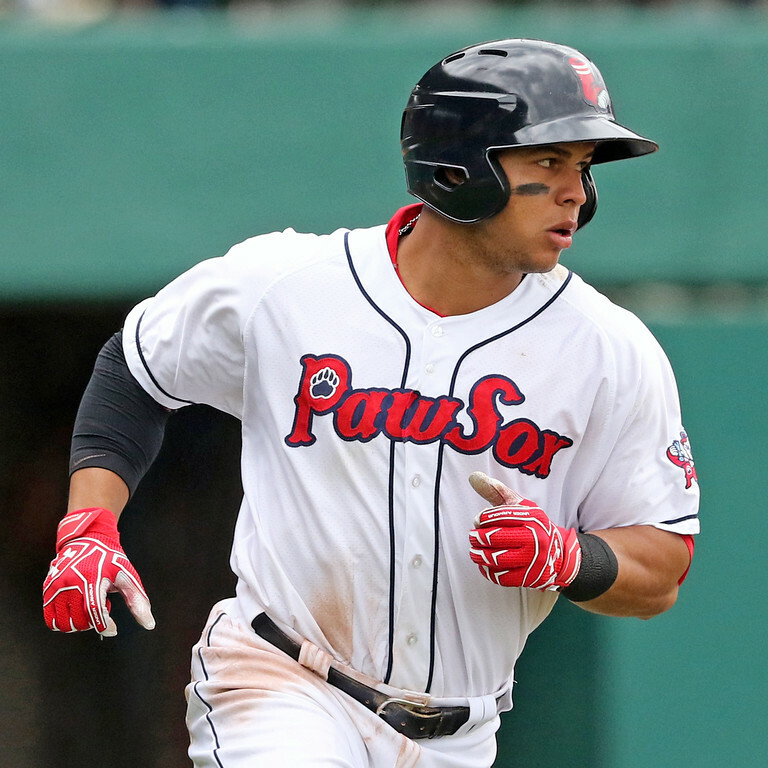 Though Dubon has shown a strong hit tool since entering the Red Sox organization, he showed improved power last season after his promotion to Portland, where he slugged .538 with 20 doubles, six triples, and six home runs. The Red Sox drafted Dubon in the 26th round in 2013, and should he reach the major leagues, he would be the first-ever Honduran native to do so. After acquiring right-handed reliever Tyler Thornburg from the Milwaukee Brewers earlier in the day (look for a coming Trade Analysis on that deal), the Red Sox went out and made an even bigger move on Tuesday, acquiring left-handed pitcher Chris Sale for a package featuring four prospects, including the top prospect in the SoxProspects rankings in infielder Yoan Moncada, right-hander Michael Kopech, outfielder Luis Alexander Basabe and right-hander Victor Diaz. Dave Dombrowski has shown since he first joined the organization that he is unafraid to deal top prospects if he thinks it can help the team win now. In acquiring Sale, the Red Sox added one of the best pitchers in all of baseball—who has had a lot of success against American League East opponents—on a very team friendly contract for the next three years, costing just $6.5 million against the competitive balance tax. The cost to acquire Sale, however, was not as cheap. The Red Sox had to include three of the top 10 prospects in the system and four prospects who all have significant upside but come with risk. The depth the system had when Dombrowski took over is now gone and the cupboard has been picked thin—10 of the prospects in last October’s SoxProspects Top 20 have been traded in just over a year’s time. A few years down the line, this trade could look very different if a few of the prospects involved reach their potential, especially if one is Moncada. Still, the cost was easier to stomach given that the club was able to hold on to all of its young, established talent at the big league level, including Andrew Benintendi. This morning we posted Part One of our Trade Analysis that focused on the hitting prospects in the deal. Part Two below will focus on the two pitching prospects in the deal. 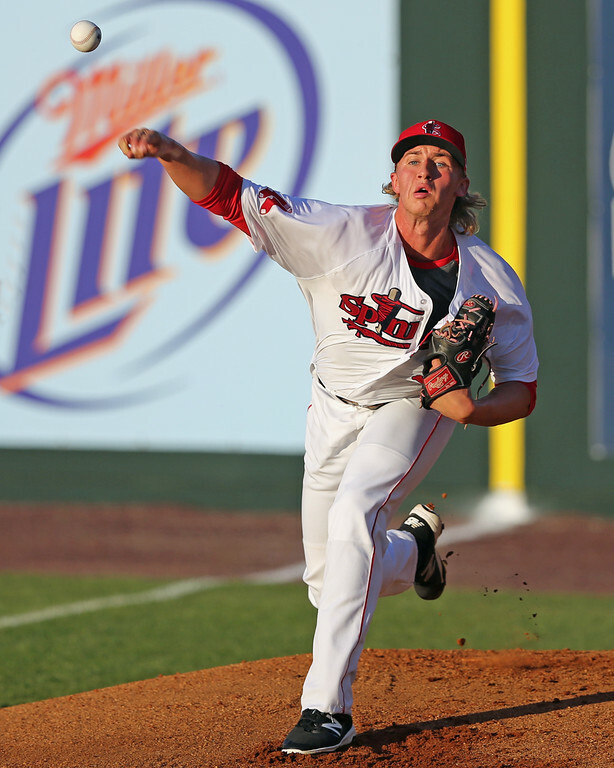 In addition to Yoan Moncada, the other top five prospect from the Red Sox system heading to the White Sox is right-hander Michael Kopech. 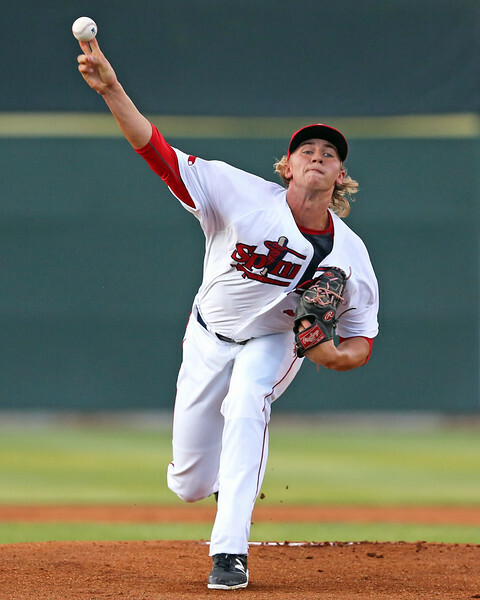 Kopech’s 2016 was a season of extremes: After getting suspended for the second half of 2015 for his use of a diet supplement on the list of MLB's banned substances, the 2014 supplemental first-round pick broke his hand in an altercation with a teammate in spring training. When he finally did take the mound, though, he turned heads with his fastball. While the authenticity of his reported, mythical 105-mile-per-hour pitch may be debated through the ages, what cannot be questioned was his dominance from the rubber. In 52 innings for Salem, he recorded 82 punchouts and allowed only 25 hits. The excellence continued against the stiffer competition of the Arizona Fall League. In 22 1/3 innings, he struck out 26 and posted a 2.10 ERA, leading Baseball America to rate Kopech the number-two prospect in that circuit. Part One of our Trade Analysis will focus on the Moncada and Basabe, while Part Two posting this afternoon will focus on the two arms in the deal. Senior Staff Writer James Dunne contributed to this piece. The centerpiece of the package heading to the White Sox is Cuban infielder Yoan Moncada. Less than two years ago, the Red Sox signed Moncada for a $31.5 million bonus plus a 100% tax penalty for having already exceeded the international signing cap threshold. Even at that $63 million total price, Moncada had shown that massive investment to potentially be worth it. After a long layoff, he began his pro career with a sputter, hitting .200/.287/.289 in his first 25 games for Greenville. Any fears from that early performance were quickly put to rest when Moncada tortured South Atlantic League pitching to the tune of .310/.415/.500 the rest of the season. Here is a recap of the past week's action in Fall and Winter leagues. For the full list of Red Sox prospects participating in these leagues, check out our Fall & Winter Leagues page, which will be updated continuously through the offseason. This week's roundup covers the period of November 28 - December 5. Marco Hernandez had a solid week by going 5 for 16 with a home run, a double and three RBI. Rafael Devers went 1 for 5 with a walk and Aneury Tavarez was 5 for 23. Roenis Elias also posted a very nice start, going five innings while allowing just a run. He had eight strikeouts and two walks. Luis Ysla appeared in three separate contests and combined to throw 1 1/3 scoreless innings. Austin Maddox also threw two frames and allowed two earned runs. As we have progressed further into the offseason, prospect rankings have begun to circulate. Two editions of the SoxProspects Podcast were released this month, the first of which involved executive editor Chris Hatfield, director of scouting Ian Cundall, managing editor Matt Huegel, and editor-in-chief Mike Andrews breaking down the end-of-season rankings. 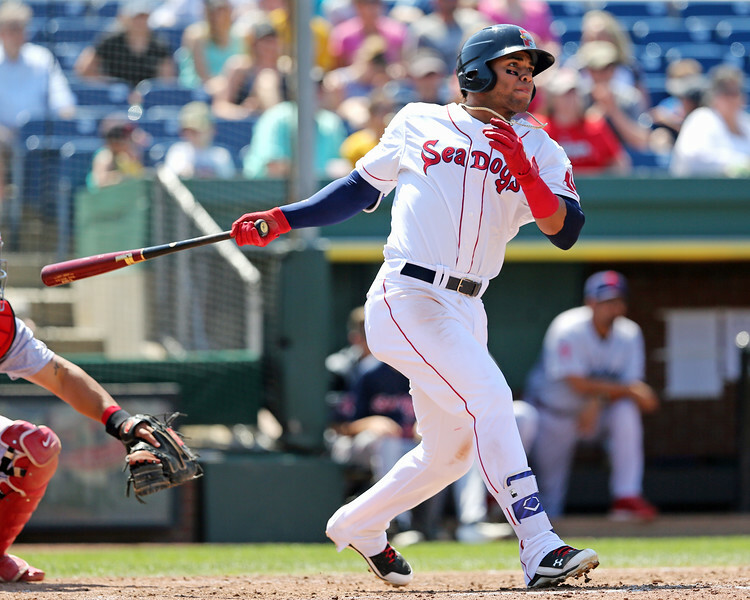 In the 109th episode of the SoxProspects podcast, the staff met with Alex Speier of the Boston Globe and Baseball America to discuss Baseball America's top ten Red Sox prospects. In Speier's list, Andrew Benintendi makes the jump above Yoan Moncada for Boston's top prospect while Mauricio Dubon, Bobby Dalbec, and Roniel Raudes slide into the top ten. While the winter leagues are now in full swing, the Arizona Fall League has wrapped up, with the Surprise Saguaros falling to the Mesa Solar Sox in the championship game. Catch up on all the action by reading through our weekly Fall/Winter League Roundup. There were four posted this month: November 7, November 14, November 21, and November 28.